Yesterday we arrived back in Singapore and headed straight for our hotel on the island of Sentosa. Originally a military outpost, Sentosa is now a resort and family destination with aquariums, a Universal Studios theme park, water parks, and a whole bunch of other places where families can play. We had a couple of hours in the morning and so explored the island a little and then went to a butterfly and insect house, which we thought Rowan would enjoy. 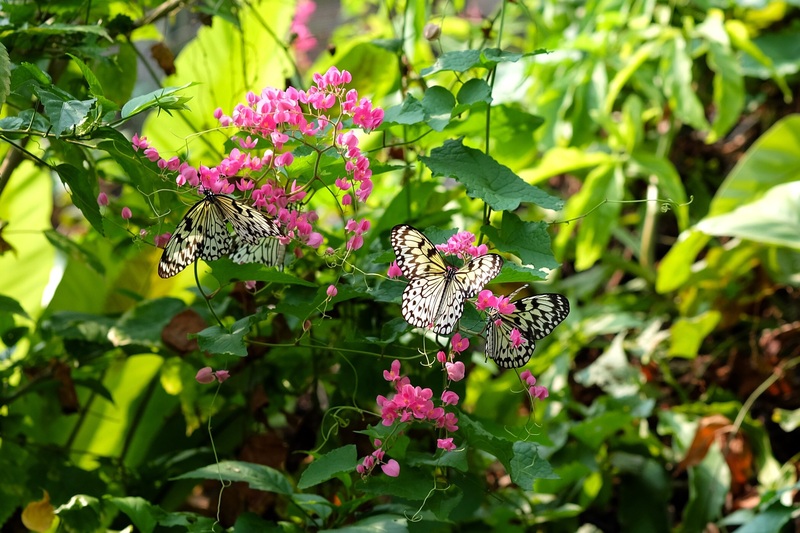 He loved photographing the butterflies as they fluttered around us in the large, netted enclosure. The live insects including tarantulas, scorpions and centipedes were not that interesting, but the specimens in the insect museum were amazing. They had ginormous butterflies, moths and beetles from all over the world, with gorgeous colours and patterns on them. We also loved the museum because it was air conditioned. Sentosa, like Singapore, is very hot and humid, and gets uncomfortable very quickly. In the afternoon, we went to S.E.A. 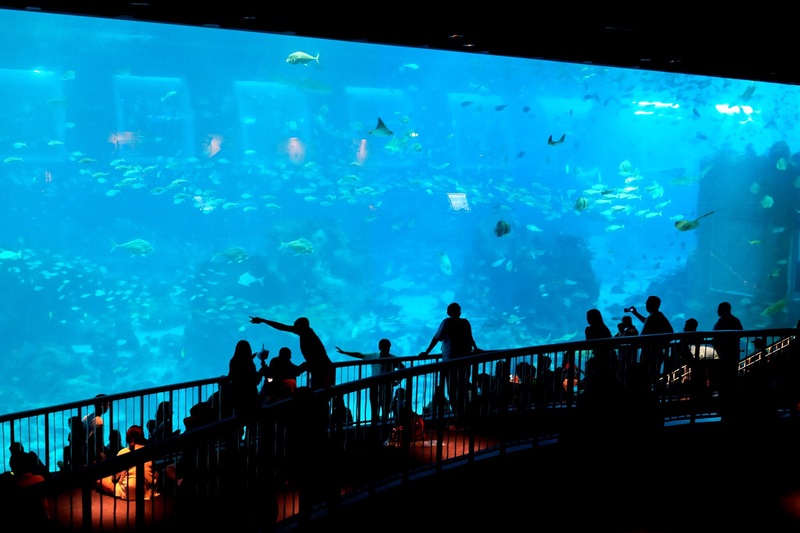 aquarium, which has more than 200,000 animals in it and over 600 species. First, we saw a short movie that gave you an idea of what it’s like to be in a cyclone including rushing air, spraying water and a creaking boat that sinks down (literally) to the bottom of the ocean. My favourite was the shark tank, which had all kinds of reef and nurse sharks lazily swimming around. 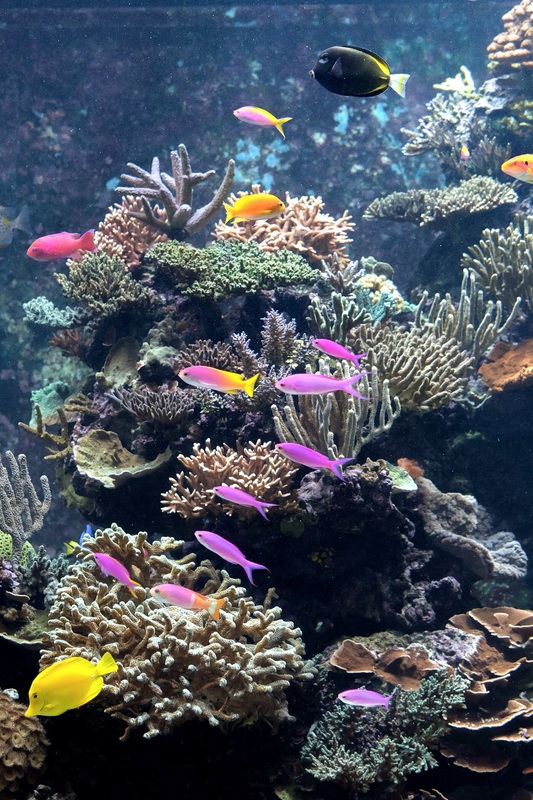 There’s also an awesome jelly fish section, a tank with the brightest coloured fish I’ve ever seen, including fuchsia, orange, bright purple and yellow, and an absolutely enormous tank, which the aquarium claims is the biggest in the world. It is mind bogglingly huge. 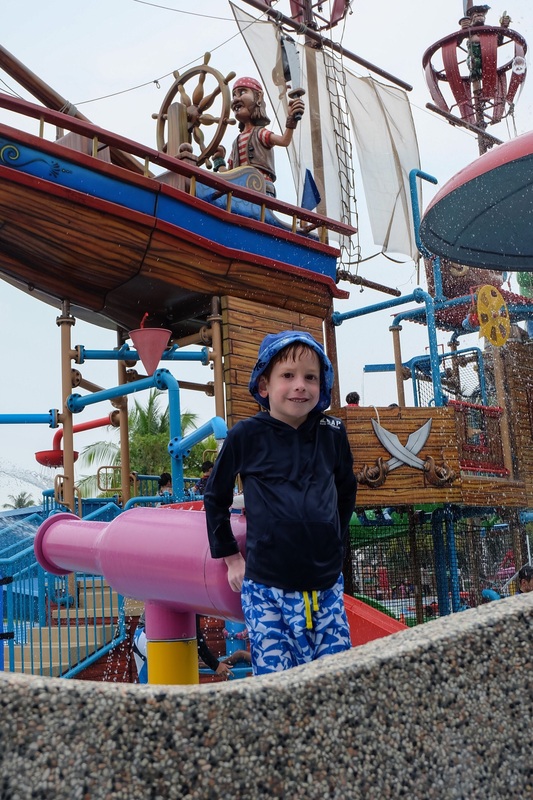 We spent most of today at a giant, pirate themed splash pad called “Port of Lost Wonder”. All three of us brought our swim gear so we all got to play and have fun in the sprinklers, slides and pools. We intended to spend a couple of hours there, but ended up playing for almost four. Rowan had a big smile on his face the whole time. Speaking of swimming, Rowan has turned into a fish! We’ve gone to the hotel’s outdoor pool for the past two days, and Rowan has been swimming across the width of the pool, a distance of about 6 or 8 metres, along with doing perfect cannonballs and huge leaps into water that is deeper than he is tall. By the time we leave on Monday, he says he wants to swim the length of the pool, which looks to be about 15 to 20 metres. Go Rowan! Good luck on swimming the length of the pool Rowan but if you don’t make it you can always swim the length of a pool here in Toronto.